Hold onto your seats Babyology readers, I’m about to show you what I personally think is the perfect light. Sydney designer Simon Goldstein of Electric Firefly Design and Creation has combined simplicity with modern design to form the perfect shaped lamp. Be mesmerised by soft curves and interlocking petals, then just add a globe and you have the perfect soft ambient light for any room. 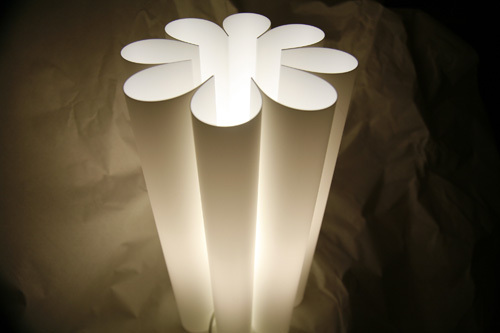 Electric Firefly lights are made from partly recycled polymer sheets that will not discolour or fade with use. Using only a sixty watt globe, they would be perfect for giving off light in a nursery. You can choose from four marvellous designs: Sol, Daisy, Nimbus and Orbital. 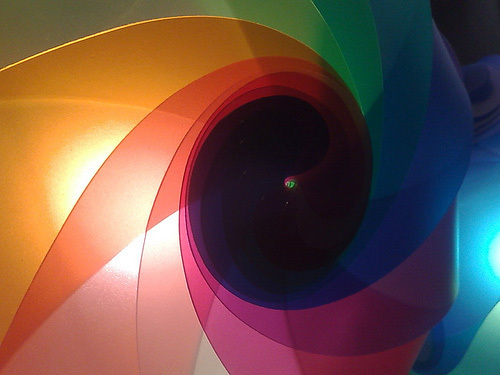 You can even flex your artistic muscle and customise your light by choosing from up to eight colour combinations (if that sounds a little daunting, Simon can help you out!). All Electric Firefly lights can be used as shades for pendant lights, on shelves or even floors – realistically wherever you need a light. 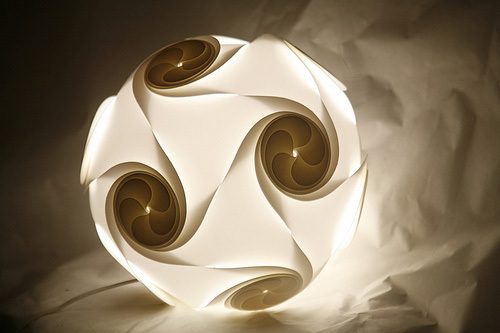 Lampshade prices begin at $89 and you can buy both the lampshades and light fittings from the Electric Firefly Design and Creation website.